It is such a shame that this is the last album of hers that I can recommend because her first two albums are some of the most literate, melancholy folk/indie-pop albums of the past decade. She still possesses that otherworldly voice, but attempts at commerciality have eroded her vision and voice. 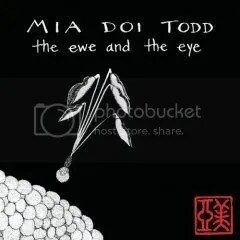 However, her followup to The ewe and Eye continues the grand steps of the debut. It is a shame this was released in the late 90s because woodland youngsters of all shapes and sizes would swoon for the sounds found herein. If you have love in your heart for the Meg Bairds, Joanna Newsomes, and Fern Knights of the world, then you should nuzzle up this warm, homespun recording. Songs of murdered lovers, battleships parked in the Charles River, unrequited affections and broken bones litter her lyrics. At times, her fantastical lyrics remind me of the Handsome Family and to a lesser extent, the Harry Smith Folk Anthology. Anyway you slice this loaf, it is an inviting album that creates a soothing cocoon for all who listen. Many men and women have picked up their collective guitars and strummed into the ether. 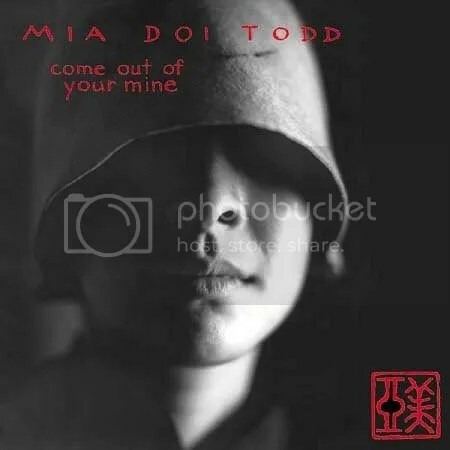 However, few possess the elegance, charm and way with words that Mia Doi Todd possessed on her debut. Yes, she slowly devolved into something less than where she began, but The Ewe and the Eye gripped me and hasn’t let go since. Eleven years have passed since this cd passed through my grubby hands and I still put in on during those autumn hours where life seems unsteady and I long for a tender listen to put me back on track. 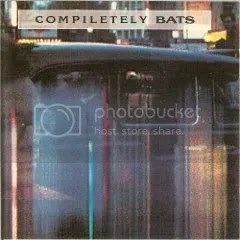 It is a soothing album that touches upon the inertia we all feel on those depressing days where nothing quite seems to fit in the proverbial round hole. If this album had been released today, she would be hailed as a part of the ridiculous “New Weird America”, but she remains a mere echo that deserves your response. It’s a heartbreaker. It makes you love life just a tad more. If you aren’t as sentimental as I, then it is a purty listen at the bare minimum. Lend a hand and enjoy.